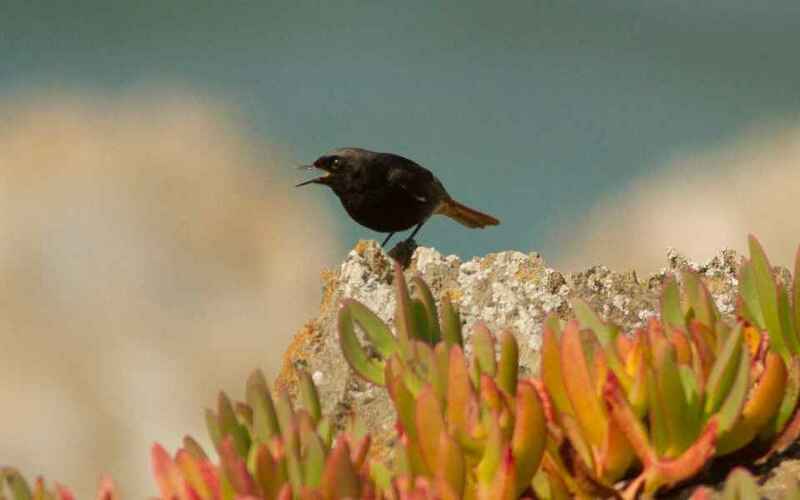 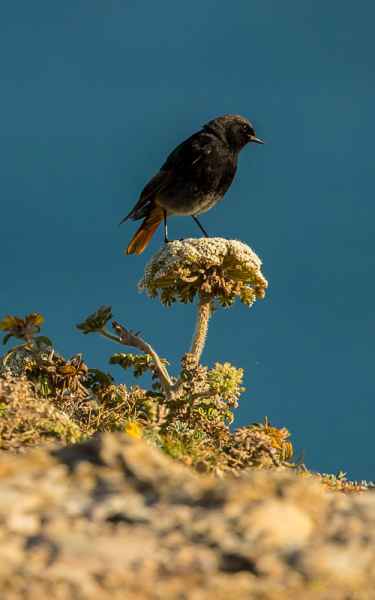 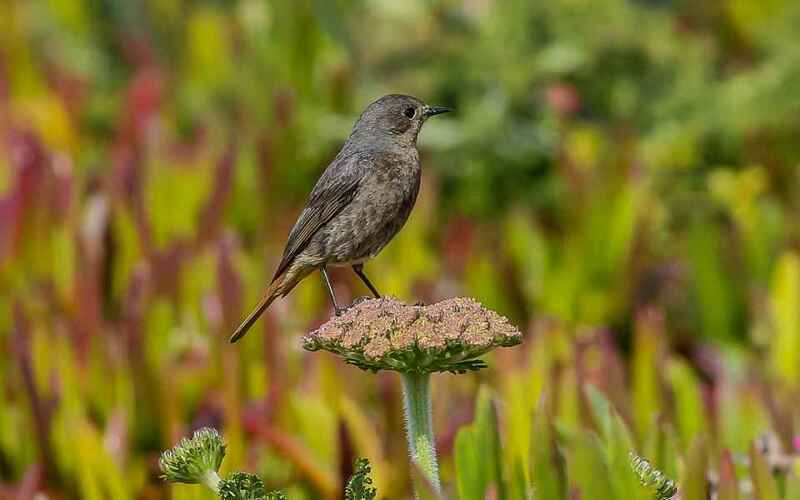 Just for a change, Black Redstarts actually do what the reference books say they do - they're on the coast around here during the summer, breeding on the cliffs and in tall coastal buildings, and during the winter they move inland and frequently appear in the Quinta's garden. 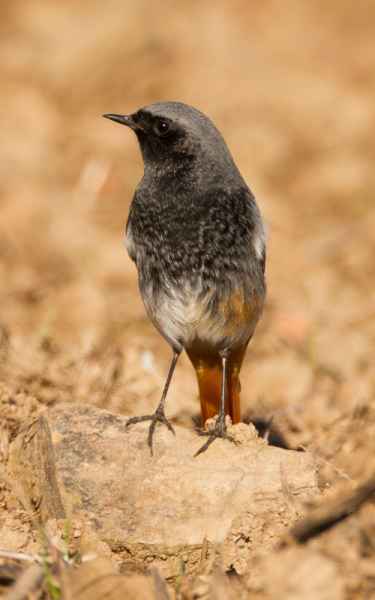 In the north of Portugal they are resident throughout the year. 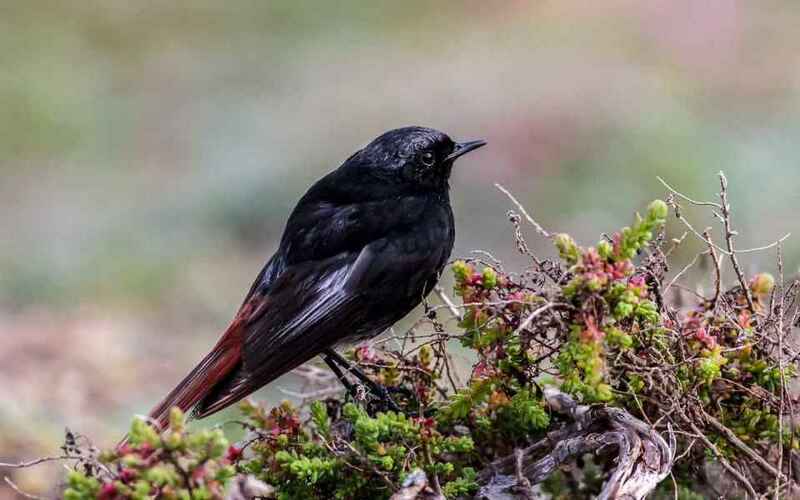 The males are overall dark with a lighter grey crown and back, but the red tail can sometimes be hidden by the primaries. 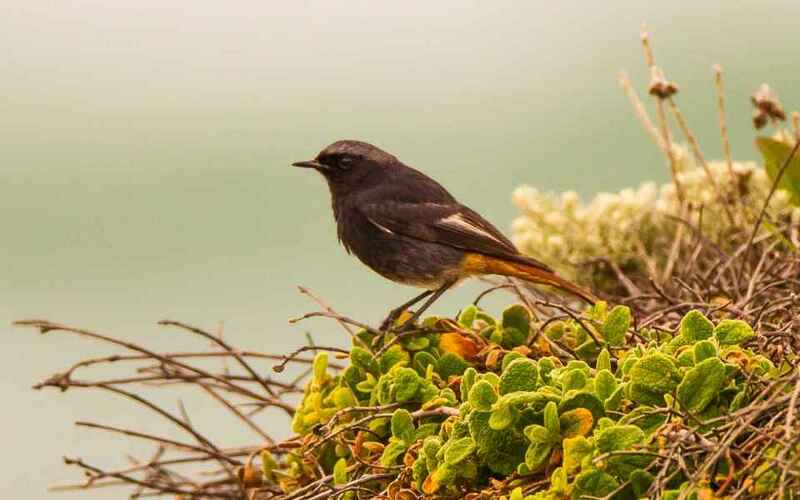 There is a prominent white panel in the wing even when the bird is stationary. 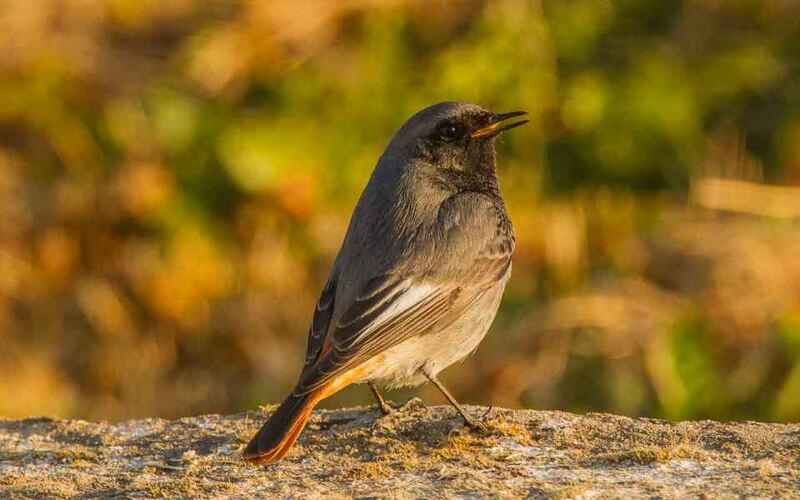 The female is more cryptic being a dull grey-brown overall, but the red tail is obvious in flight in both sexes, as is tail bobbing.